Rami Malek has been nominated for Best Actor at the Oscars for his role in Bohemian Rhapsody. The actor is up against Christian Bale for Vice, Bradley Cooper for A Star Is Born, Willem Dafoe for At Eternity’s Gate and Viggo Mortensen for Green Book. 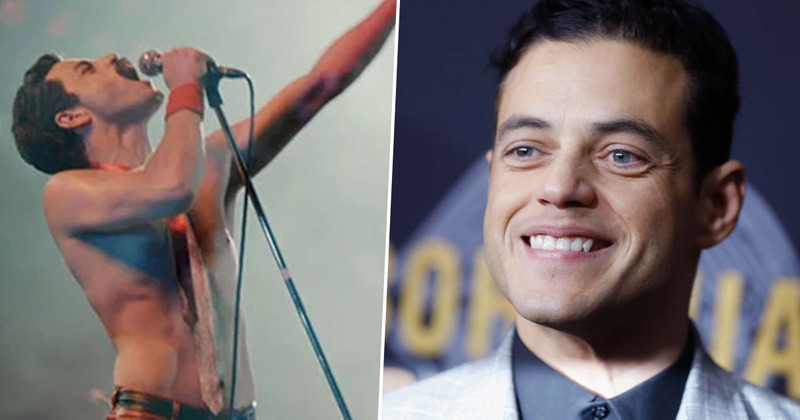 There’s no doubt Malek had some big boots to fill when he took on the role of Freddie Mercury for the Queen biopic, but as his nomination implies, he nailed it. The Mr Robot star wasn’t the production’s first choice to play Mercury, with Borat’s Sacha Baron Cohen initially working on the story of Queen’s frontman. However Cohen dropped out due to a disagreement in 2016, leaving the role open for Malek to make his own. The 37-year-old committed himself to bringing Mercury’s legacy to the big screen and embarked on research and training to learn everything about the way the singer conducted himself. Malek’s dedication to the role was recognised when he took home the Golden Globe for Best Actor earlier this month, beating fellow nominees Bradley Cooper, Willem Dafoe, Lucas Hedges, and John David Washington for the award. In the film viewers are treated to a recreation of the British band’s epic Live Aid performance, which many people considered one of the greatest rock performances in history. 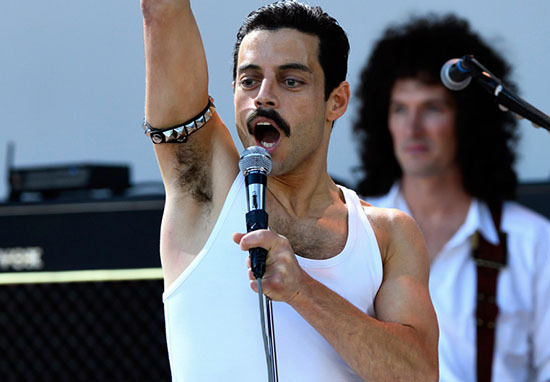 In his efforts to do justice to the performance, Malek told news.com.au he watched Queen’s Live Aid set around 1,500 times on YouTube – that’s 500 hours of scrutinising – in order to perfectly capture the way Mercury owned the stage. Mimicking every hand gesture, head movement, and pursing of the lips, Malek allowed viewers to experience Live Aid as if they were watching the original performance, creating both a nostalgic and breathtaking spectacle. His performance was considered so spectacular that even Queen guitarist Brian May admitted those involved in the production started to see the actor as Mercury. If one of the men Mercury spent so many years working with isn’t enough to convince you of Malek’s excellent portrayal of the flamboyant frontman, then maybe the reaction Mercury’s sister had when she saw the actor will help. I met his sister. She got to see me as a young Freddie with long hair and the teeth, make-up, the whole 1970s, early glam-rock look. As you can imagine it was an incredibly bizarre, alien moment for her. Malek certainly deserves his nomination, now we’ll have to wait and see if he takes the win! The televised ceremony for this year’s Oscars take place on February 24 (US).